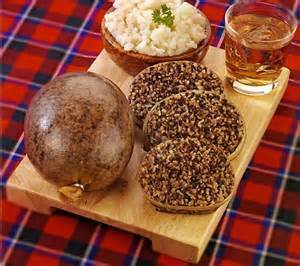 I didn't realize, until this week, that the importing of haggis in the USA has been illegal since 1971. How ridiculous! The Americans do not know what they are missing in prohibiting the offal that is sheep's lungs and makes up this Scottish delicacy. The recipe for haggis should be "tweaked" to get round the ban on the Scottish delicacy in the US, Scotland's rural affairs secretary has declared, according to the Scottish press. 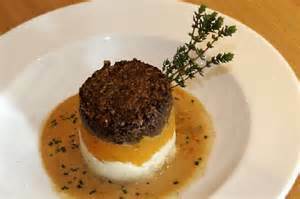 Imports have been illegal in the US, because the American Food Standards Agency prohibits sheep’s lungs, which can make up 10-15 per cent of the haggis recipe, in food products. This week, Scottish rural affairs secretary, Richard Lochhead, will be in the US promoting Scottish food and drink and discussing how to get around the ban. He will be joined by James Macsween, the director of haggis brand Macsween. Mr Lochhead told the BBC: "Tens of millions of Americans want to enjoy Scotland's national dish. 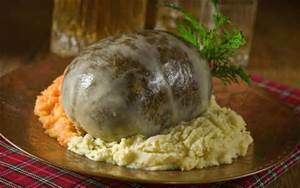 Now it may be that we'd have to tweak the recipe for haggis to get into the US market, because some of the ingredients - such as sheep lungs - have been banned since 1971. "But I think our own producers here in Scotland are up for tweaking the recipe so that US customers can still get as close as possible to the real thing. "And if we managed to get into that market that would create jobs back here in Scotland and millions of pounds to the Scottish economy." This is not the first time that Mr Lochhead has made an attempt to lift the ban. Back in 2011, he invited delegates from the US to come to Scotland to discuss the matter. And other politicians have also tried to remove the ban over the years. George W Bush was lobbied on haggis at the G8 summit in Gleneagles in 2005 and Obama's administration has been challenged a few times on the matter, including earlier this year when politicians claimed that haggis could cure the American obesity epidemic. The American Food Standards Agency have yet to change their decision, so maybe the US electorate should lobby their senators now!